Cats on leashes? Yes, it’s a thing, although not all cats or cat owners are on board. 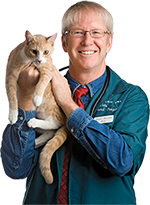 This reader wanted to increase the chances a new cat would take to it, so I asked my daughter, trainer Mikkel Becker, to join me in some recommendations. Q: I want a cat who will enjoy walking on a leash. Are there certain breeds or personality traits I should look for, or can any cat learn? A: Leash training can be a great way to help your cat get some exercise and safely enjoy the outdoor environment. It’s also a good way to help young cats develop confidence. Depending on how early you start, many cats can learn to walk on-leash, but some are definitely better candidates than others. Here are some of the cat breeds who have a reputation for taking to leash training. — The Abyssinian is a daring and active cat with a social personality. Going out on a leash gives him the opportunity to meet his adoring fans, so he’s generally all for it. — The pedigreed American shorthair is usually easygoing, tolerant and adaptable, as well as being a quick learner. This is a sturdy and often adventurous cat who may be willing to try new things. — Active, curious and smart, the Bengal loves to learn new things and can be a cat trainer’s dream — as long as you can keep a few steps ahead of him. Leash training challenges his brain and helps to burn off some of his energy. — The Savannah is a large cat who may outweigh some of the poodles and pugs he sees on walks. Keep an eye on him so he doesn’t use his gymnastic ability to escape you and go hunting. — Siamese cats and other Oriental breeds typically take to leash training with enthusiasm, thanks to their endless cleverness and curiosity. — A Persian? That’s a cat who might prefer to be pushed in a stroller. 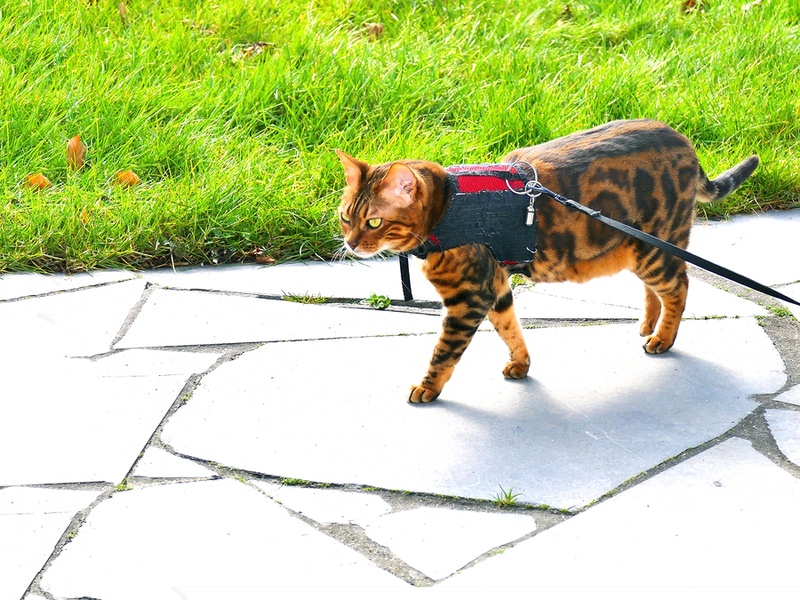 You don’t have to get a pedigreed cat to find one who’s willing to walk on-leash. Plenty of random-bred domestic shorthairs and longhairs successfully learn how to walk on a leash.